I admit that I didn’t spend those bits for a long time. The tech was so new to me that I felt intimidated. I didn’t want to touch the wallet app—didn’t want to mess up the bitcoins or accidentally make them disappear. Over the next few months, I watched for the reactions of others, waiting for confirmations (how fitting!) before signing on to Bitcoin myself. Adam Kokesh seemed on board. Davi Barker was on board. John Light was on board. And of course, J. Tucker was still on board. Even Lew Rockwell, though he’d never publically endorsed cryptocurrency, was accepting Bitcoin donations on his website. In fact, it seemed like if anyone was a smart cookie, they were on board. So I decided it was now safe for me to be on board, too. I took no interest in the technical underpinnings of Bitcoin for quite some time. I was interested solely in its capacity as a tool for freedom. Just the thought—stateless money!—sent off little sparks in my brain. Oh, the possibilities! The free trade! The pseudonymous transactions! The safe haven from confiscation and inflation! It actually began to keep me up at night. I began to attend Bitcoin meetups and buy the cryptocurrency whenever I had extra Federal Reserve Notes. Slowly, I grew an interest in the technicalities that lay underneath the magic. How, exactly, could something be this amazing? It was through studying Bitcoin as what it is—an amazing tool—that I began to doubt my former conviction that it necessarily spelled freedom for the masses and a downfall for the tyrants. I racked my brain. Is there such a thing as a tool that can only be used for good? Surely there had to be simple tools in this world which were simply impossible to wield for evil. And it was then that I began to think about the blender. A simple blender—good only for blending things, right? A smoothie, a shake, even cake batter. There was no way that a simple blender could be used for evil, right? Unless you mangled someone’s hand in it, my mind countered. Cumulatively I must have searched my mind for hours for a tool that, by its very nature, could only be used for good. 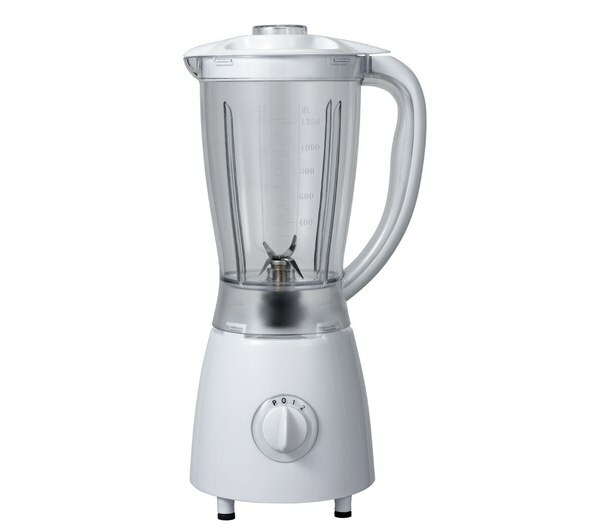 I found none, and the image of a blender’s capacity to make a delicious smoothie just as easily as mangle an innocent person’s hand kept returning to me. It just depends on how the tool is used. Control of the Physical World? There was one remaining crack in my Bitcoin-can-be-used-for-good-OR-evil thesis—that it’s not physical. Have the tyrants of history not relied solely on the manipulation of the physical world to gain and keep power? All the hallmarks of state action—that is to say force through theft, assault or murder—are all distinctly physical. You can’t hit someone over the head with a bitcoin. You can’t outright steal it without knowledge of their private key. And you can’t even craft bitcoins into a shank and hold it to someone’s neck until they give you those private keys, either. That must be it! I thought. That is why Bitcoin is inherently a tool for good. Because it’s not physical, and tyrants can only prevail with physical threats! And that’s not all! (My fervor rose.) Even if nation-states were to begin using Bitcoin themselves, it would still be their downfall. Why? Without the ability to inflate the money supply at will, their sprawling operations of mass terror would be so woefully underfunded that they’d be unable to afford to continue. It was the state’s control of the money supply that ensured their survival. Without that control, they would fall. I sat quite comfortably with these conclusions for a few months. That is, until I started frequenting new discussion forums, namely the Bitcoin subreddit and the comment sections of CoinTelegraph. It’s been the many hours I’ve spent in these two digital realms that have taught me that statism doesn’t maintain its power chiefly through direct acts of force. Sure, state actors physically punish a small percentage of the most rebellious among us, but the vast, vast majority of obedience to the state is done quite voluntarily. But, you counter, it’s not voluntary when the threat of violence is behind all so-called legislation! You are correct that the threat of violence is behind all legislation. But I’ve come to see that many people would obey, pay taxes and generally take orders even if the threat of violence weren’t there. Why? Because they so desperately believe in arbitrary authority. It’s written into the wet code of their hearts. 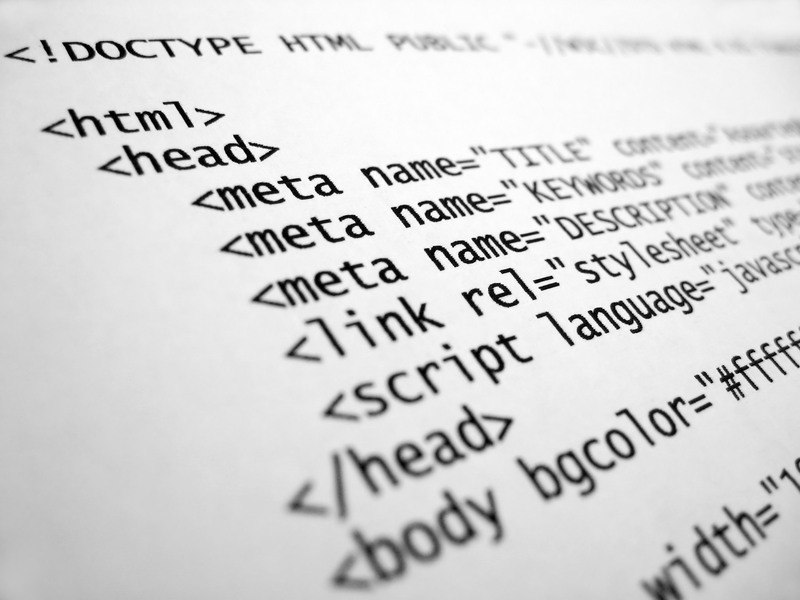 The terms “wet code” and “dry code” refer to programming language. For humans, our programming tells us things like “Don’t shave with a dull razor” and “Take cotton clothes out of the dyer if you don’t want them to shrink” and “Put on a coat before stepping out into the cold.” These commands are all examples of wet code, or programs for humans. Dry code, on the other hand, is computer language. At its most basic, it’s just zeros and ones. 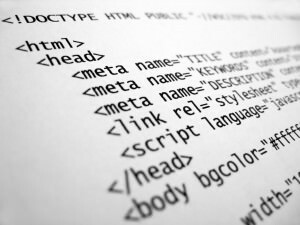 On higher levels, however, these zeros and ones can be represented in a language like HTML, which is the language that tells this very webpage which words to bold, italicize or strikethrough. Such commands are part of dry code, or machine programming language. Many argue that anarchistic dry code like Bitcoin can, on its own, somehow defeat statist wet code. But they fail to realize that dry code only has power when acted upon by a human. And many humans’ wet codes are still programmed to take orders from arbitrary authority. I do not bring these things up to denigrate cryptocurrency. Quite the contrary—I’m a raving crypto fan and I proselytize Bitcoin every chance I get. It’s bloody brilliant, for Satoshi’s sake! Bitcoin itself will not usher in the free society. It is only changing the hearts and minds—the wet code of our brothers and sisters—that will ultimately free the human family. Yes, cryptocurrency is a fantastic piece of dry code. But it is the human operators who must be re-programmed through love and persuasion for the plague of statism to finally die. I’m really appreciating these articles, and you make good points. It’s always and everywhere true that people must love freedom in order to keep it. Bitcoin changes nothing about that. What BTC does is offer a tool we’ve never had before and it is the most important tool we could possibly ever have. It gives freedom a gigantic innovation. There is more to say about each of the case you mention above. I’ve absolutely enjoyed watching the BTC community divide on this whole issue. What you see happening here is that business prefers a guarantee over arbitrary violence, and these regulations offer that guarantee. But let’s keep in mind that the blockchain itself is owned by no one. The technology itself is the same. Somethign to think about: the world’s largest economy is currently the underground economy, and it works mainly using a currency manufactured and managed by governments. Now think what that implies for a currency is structurally indy of government. I would love to see a JT-ABJ hangout (or maybe LIVE event with audience participation) on this issue. Thanks for bringing to our attention, all of the developers who are working with the government on crypto tracking. I’ve seen more freedom-based movies, shows, songs, etc lately which really helps to program liberty wet code into our culture. Examples: Hunger Games, Breaking Bad, Lego Movie, Rob Hustle, House of Cards and MORE! When young minds consume media that is friendly towards freedom, capitalism, and self-ownership, then they might be more open to these ideas when mentioned directly. When young people engage in freedom-friendly activities and technology, they are more likely to believe in it based on their own authentic experiences. A twelve year old kid won an agorism award at Porcfest this year! My cousin has a 3D printer at his school that he knows how to use. More of this is key!